Following a Times article: Stealth dentistry charges bring in millions, the BDA said that the Government was ‘profiting’ from NHS charges ‘at hundreds of dental practices’. They have estimated that the Government will generate over £40 million in ‘profits’ by the time of the next general election from an ‘ever growing number of NHS practices’.. 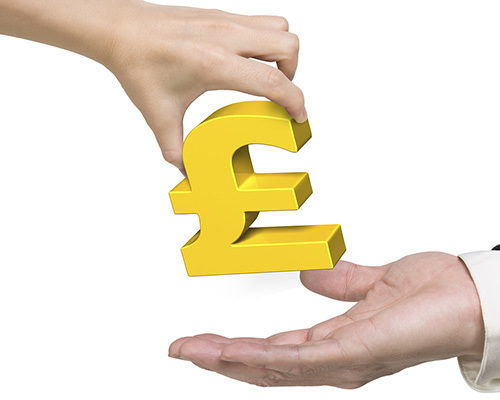 The BDA has claimed that ‘Ministers are set to turn a profit from NHS charges in hundreds of practices’. They point out that, as 5% increases kick in for the third consecutive year, charge levels now exceed the price dentists are paid to provide services at over 300 practices. Based on current contracts the BDA estimates the government will generate over £40 million in profits by the time of the next general election from an ever growing number of NHS practices. A quarter of all NHS dental practices are on track to collect more from patients than government pays them to provide care by 2022. The BDA continues saying that their analysis shows that Government is now paying the lion’s share (more than 50%) of NHS treatment costs for charge paying patients at just 68 NHS practices – 1% of the total. The BDA’s Chair of General Dental Practice Henrik Overgaard-Nielsen said: “When patients put in more towards their care than government pays to provide it, NHS charges cease to be a ‘fair contribution’ and become a bad joke. The BDA further points out that the charges do not go to dentists, but are passed to NHS England. Revenue from patients is now increasing as a proportion of the overall dental budget, while contributions from general taxation are in long-term decline. “As charges have been rising at an inflation-busting pace, payments to dentists to provide services have increased by an average of just 1% per year since 2010,” they explain. They also say that nearly 1 in 5 patients have delayed treatment for reasons of cost according to official statistics. They have called for charge increases to be capped to inflation, and for charge revenue to remain a stable or declining proportion of the total NHS budget, as is the case in devolved nations. The BDA has analysed data from the Business Services Authority, covering 8,927 dental practices in England to establish an equivalent Unit of Dental Activity (UDA) rate paid to holders of NHS General Dental Services contracts. It has excluded both Primary Dental Services and Orthodontic providers whose contract values include items other than provision of UDAs. It has also excluded contracts that ran for less than a full calendar year, or with a value or volume of zero. 6,267 practices met these criteria and form the basis of this analysis. This online article contains details of the names, addresses and contract values of the 330 practices where the patients’ Band 1 charge is higher than their contract value.